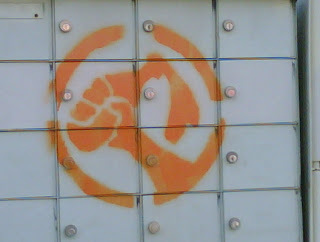 The Adventures of Faith: Someone Graffitied Our Mailbox! I have no clue what that means.....anyone else? Here's another because I'm slightly impressed by the quality of the camera on my crackberry. 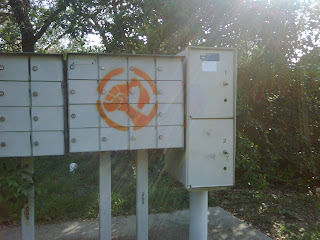 Who tags a mailbox? I haven't seen this anywhere else in our neighborhood either. If someone sets my mail on fire I'm gonna be pissed!